i Summer MX – Apply now! i Summer Mx is a programme designed for international students who are lovers of traveling and learning about new cultures. Discover four of the most iconic states in Mexico, visit the capital Mexico-City, enjoy the colonial city of Queretaro, go to the amazing Guadalajara, walk through historic places at Puebla, and choose to make everlasting memories in beautiful places like Puerto Vallarta and San Miguel de Allende. 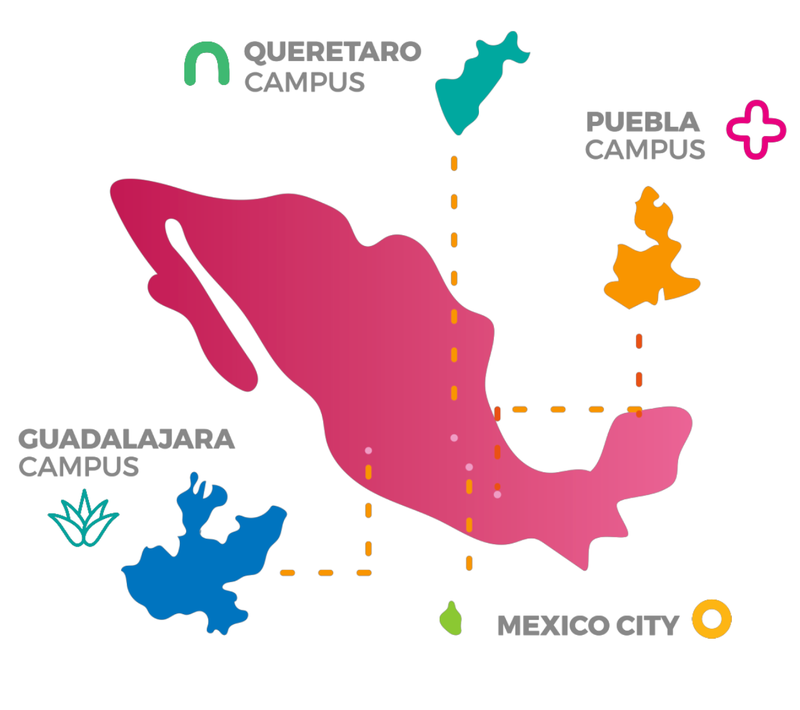 During their stay in Mexico, students will have the opportunity to live four weeks on four different campuses. This will give them the chance to learn about different parts of the country without ceasing their studies. Each campus has special activities, and several trips, that will make the experience unforgettable! Located to the west of Mexico City, and designed by the world-famous architect Ricardo Legorreta, Santa Fe campus was built in 2001 and is one of the newest among other 31 campuses of Tec de Monterrey throughout México. Our campus is located in to Santa Fe area, the newest commercial and residential neighborhood that has become the greater economic activity center within the Mexican capital. Our privileged location, close to charming cities like Cuernavaca and Puebla, allows students to travel and enjoy diverse experiences while living within the heart of the country. Campus Puebla, located in one of the best districts of the city, opened its doors in 2003. On 25 hectares, you find 4 buildings with classrooms, offices, and the Convention Center and Technology Park. All facilities are equipped with state of the art technology. Additionally, there are two auditoriums, a cafeteria, a library, a copy shop, work and study areas, and 7 laboratories. Furthermore, we put at your disposal, a modern gymnasium with dressing rooms, showers, lockers and ample sports fields for soccer, basketball, volleyball and tennis. Tec de Monterrey Campus Queretaro is the fourth largest campus in the country with more than 7,000 students, 55% come from other states and more than 400 international students of different nationalities each year. Queretaro is located in the heart of Mexico, just a 2- hour drive away from Mexico City. Its great location, modern infrastructure, and excellent diversity of people, food and touristic places makes the state one of the best destinations to visit. Queretaro is one of the safest, innovative, and state-of- the-art sectors in industrial production, education, and technology. The Guadalajara Campus opened its doors in August 1991, in an area of almost forty hectares located west of the metropolitan area, in the municipality of Zapopan. Over time this campus has and continues to develop its facilities to become the second most relevant campus, after the mother campus in Monterrey, and one of the most modern in the Tec system. Guadalajara is considered a capital of culture, being home of the well known Mexican icons such as mariachi, tequila, and charrería. All recognized as World Heritage by UNESCO. In this program students will have the opportunity to take two different courses that would help them to develop a deeper understanding of Mexican identity and culture. 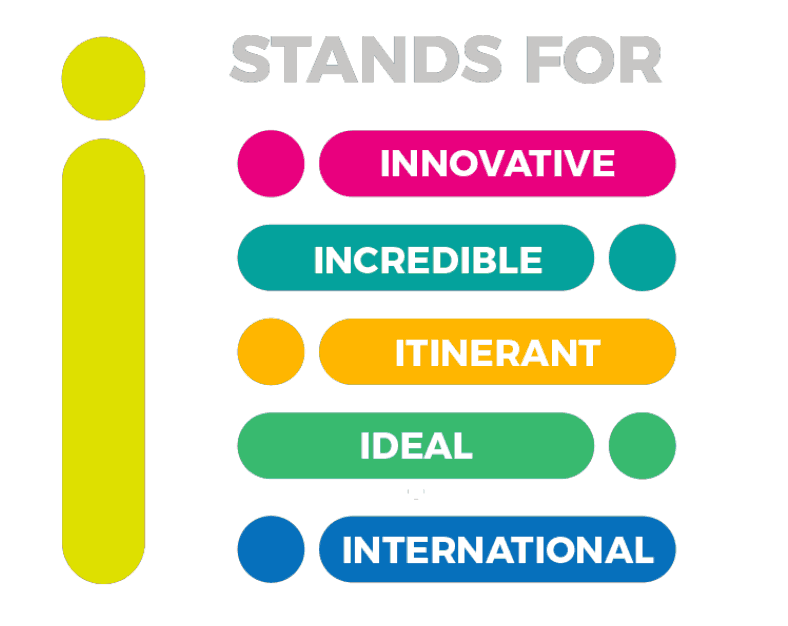 In addition, they can choose to improve their basic Spanish skills (option 1) or to advance their intercultural communication competencies (option 2). This is a basic humanities course in which students will understand, identify and analyze aspects of Mexico's culture so that they can assimilate and integrate themselves into the culture. No prior knowledge is required. As an outcome students will carry out dynamics related to diverse art expressions. Comprehend the diverse popular artistic expressions as an important part of Mexican identity and culture. Learn basic concepts such as art, artcraft, artist, Mexican craftmanship, local culture, and transculuturalism. Analyse different identity construction processes. Understand the processes of cinematic production as dialogue opportunities among the aesthetic forms. Beginning basic spanish as a Foreign Language course allows students to developing the basic communicative skills in the Spanish language to improve their performance in social and academic contexts. It requires no previous knowledge of Spanish. Upon completion, the students will be able to recognize and adequately use the syntactic structures of Spanish in communicative interactions at the beginning level. Interact in everyday situations of encounters, greetings and introductions. Ask for and give basic information about himself/herself, other people, things, places, etc. Provide and retrieve information in and from formats and simple documents. Interact adequately in intercultural situations. Cooperate with classmates and professor to establish and maintain collaborative, cordial and trustworthy relationships. Expert conscious control over the psychological and affective factors that influence the learning process. This course provides an intellectual and experimental forum for developing interpersonal and intercultural communication skills. Students will learn to identify the cultural aspects of verbal and non-verbal behavior of people from different cultures and of themselves, and to recognize that differences in cultures can cause communication difficulties in organizational settings. During their course, the students will develop the basic skills of audio-visual narrative, multimedia storytelling and developing audiovisual content based on their learning of Mexican Culture. Full trasportation from Monday to Saturday, for all the activities in the program, and between cities. Breakfast from Monday to Saturday. Tickets for all places and events in the program. Every Sunday, on each campus we have an special trip to enjoy local attractions. These trips are not included in the program fee but all of them are included in the price of the Puerto Vallarta Trip. You will find this coastal town framed by the mountains of the Sierra Madre Occidental of Jalisco and the immense Mexican Pacific. This fascinating tourist destination with, it’s red roofs, golden sunsets, and cobbled streets, possesses everything that makes for an incredible vacation: beautiful beaches, leading hotels, and a variety of restaurants and activities. Contact Claudia Ugalde, the International Students Coordinator, to apply.